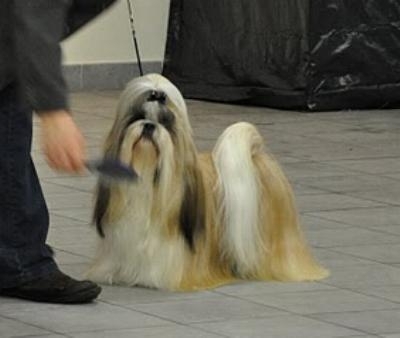 LE-VENDOSK WAFER BREAKING NEWS - champion class, CAC, CACIB, BOB and BOG 4. 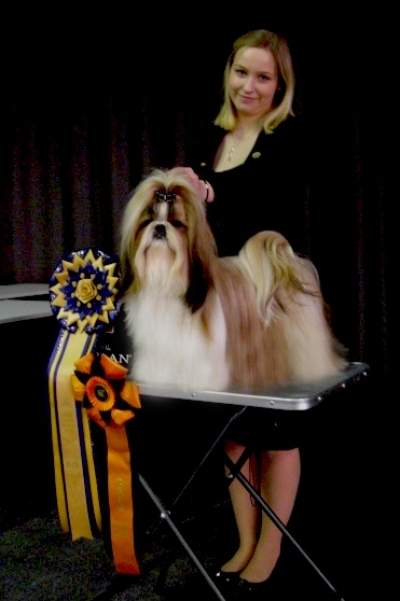 Breaker has become Champion of Estonia and finished the Interchampionship!!! JOKER Ad Acte - junior class, Excellent 1, Junior Winner, BOB junior and BOB. Joki has finished Junior Championship of Poland! 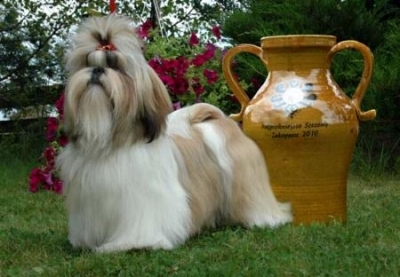 KARAT Ad Acte - open class, Excellent 1, CWC, Res.CACIB. 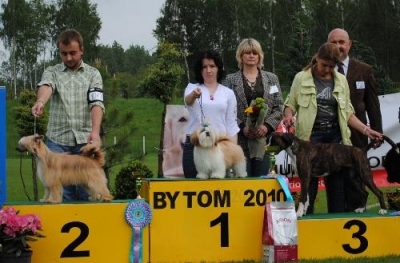 Karat has finished the Championship of Poland! 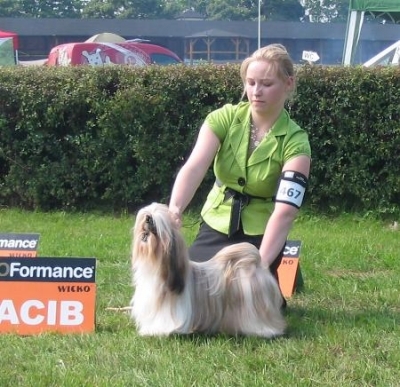 IMPRESARIO Ad Acte - champion class, Excellent 1, CAC, CACIB. 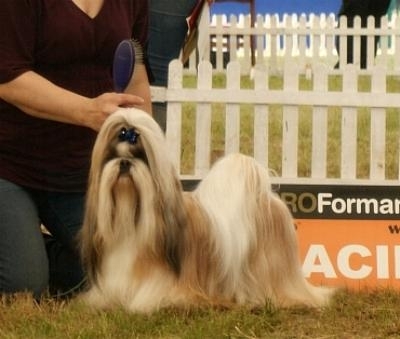 Impresario is the 11th champion born in our kennel!!! 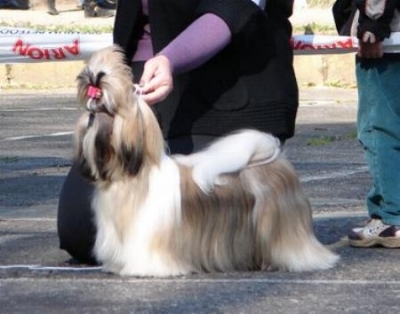 KARAT Ad Acte - open class, Excellent 1, CWC, BOS, BOB. Pacynka has finished Junior Championship of Poland! 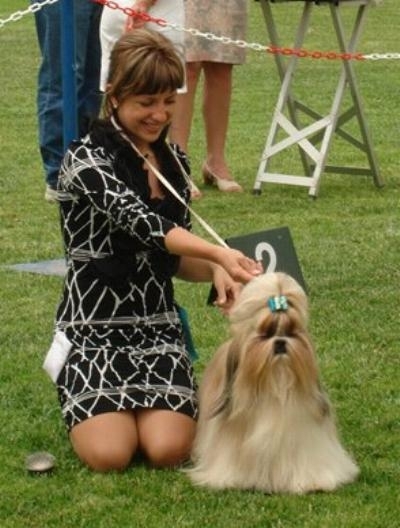 IMPRATOR Ad Acte - open class, Excellent 1, CAC, VDH-CAC and CACIB. 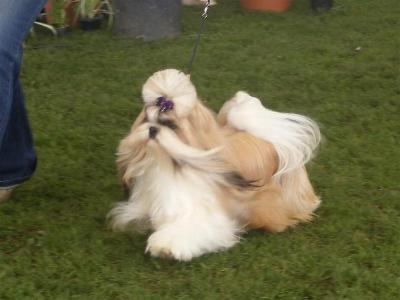 Tommy's daughter - GolDenMeri EROS COSA NOSTRA WAIKIKI Vendidi rivalizing in intermediate class, has received Excellent 1, CWC and BOB. 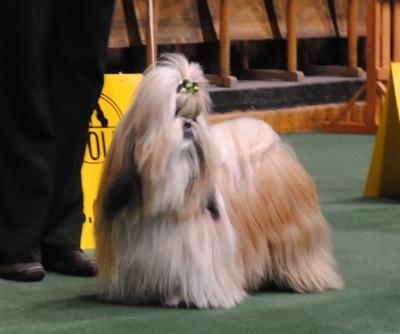 Her brother WATERGATE Vendidi was Junior Winner on this show. 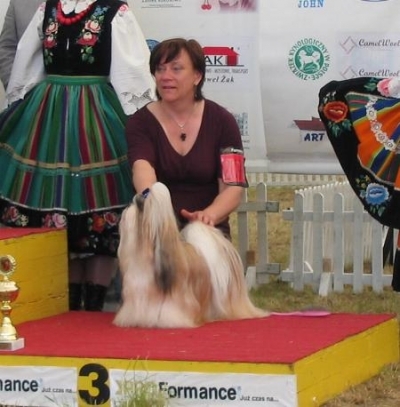 PACYNKA Ad Acte - junior class, Excellent 1, Junior Winner, BOB Junior. 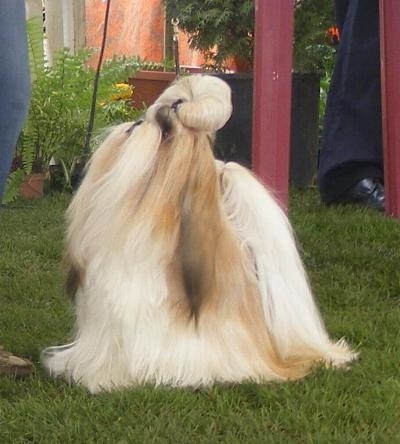 IMPRESARIO Ad Acte - champion class, Excellent 1, CAC, BOS and BOB. 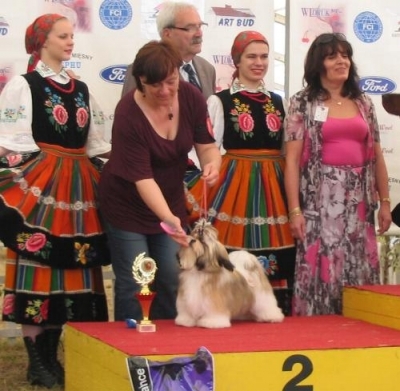 PERSPEKTYWA Ad Acte - junior class, Junior Winner, BOB Junior, BOB and BEST of GROUP 2. Persa has finished the Junior Championship! IMPRESARIO Ad Acte - champion class, Excellent 1, CAC, CACIB, BOB. 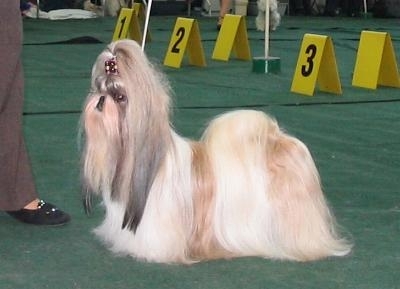 He has received BOG and BEST in SHOW III in the finals. He has been chosen BOG 4. In the Champion's Parade he has placed 3rd. 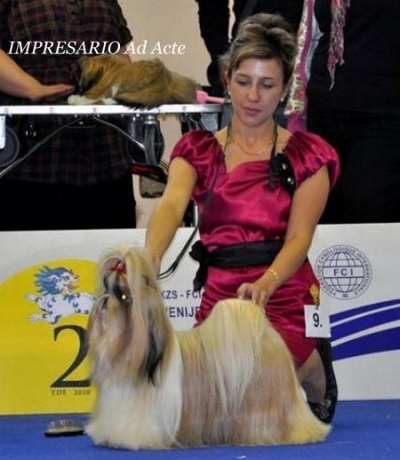 IMPRATOR Ad Acte - open class, Excellent 1, CAC, CACIB, BOB. 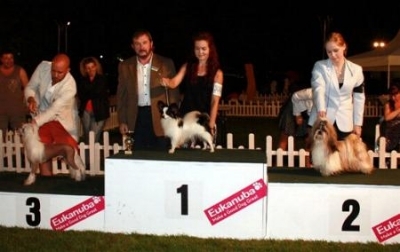 PERSPEKTYWA Ad Acte - junior class, Excellent 1, Junior Winner, BOB Junior, BOB and BOG. 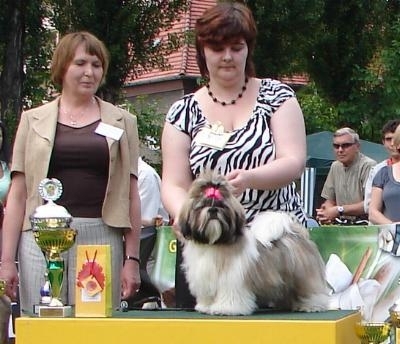 Persa placed 2nd (judge: B.Szydłowicz-Polańczyk (PL) ) in the competition for the Most beatiful Dog of Torun Association. 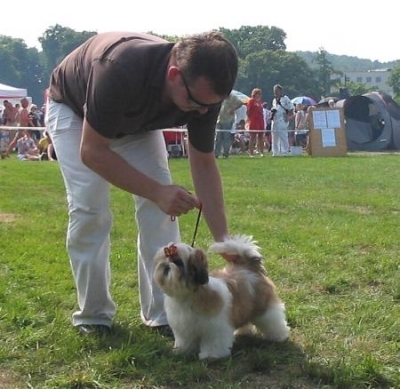 IMPERATOR Ad Acte - open class, CAC, CACIB, BOB and BOG III. 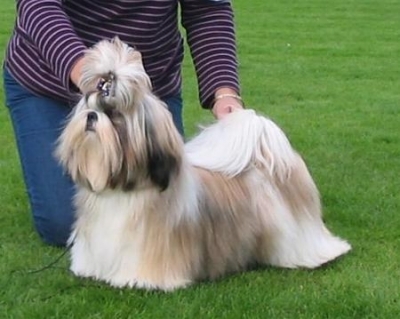 PERSPEKTYWA Ad Acte who has just turned 9 months old, has contented in junior class. She has become Junior Winner, BOB Junior, Excellent, and BOB. 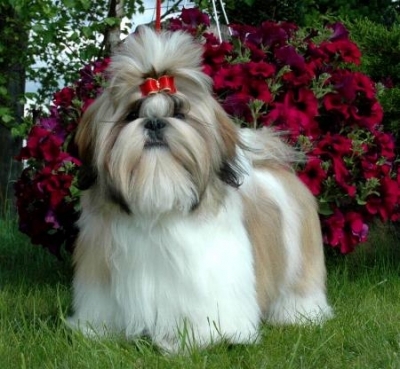 She has been chosen Best of Group 4 in the finals. IMPERATOR Ad Acte has received a CAC and CACIB. IMPERATOR Ad Acte - CAC, CACIB, BOB. He has become Champion of Germany! 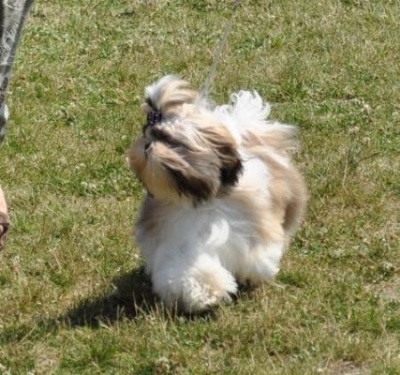 PASJA SOLARIS AVIS Ad Acte - puppy class, VP, BOB PUPPY. 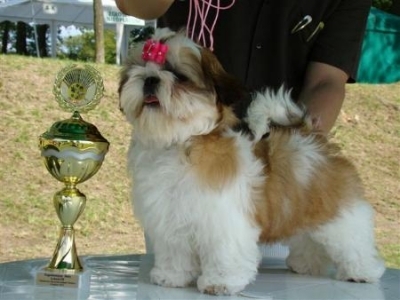 She has been chosen BIS PUPPY 4 in the finals. 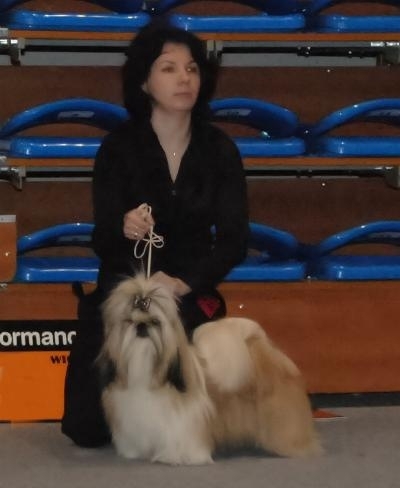 TABU SAP'S Ad Acte - who has just turned 4 months old, has contented in the baby class for the first time receiving VP and BIS BABY 3 in the finals. 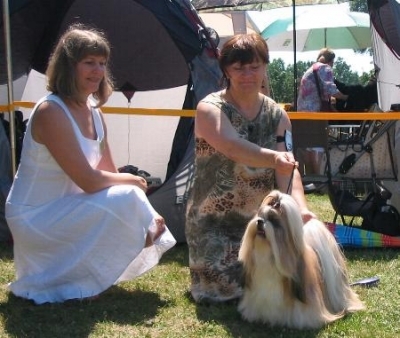 Latvian TOY CLUB holds a Dog Show once in two years. receiving CAC, BOB and Champion of the Club. 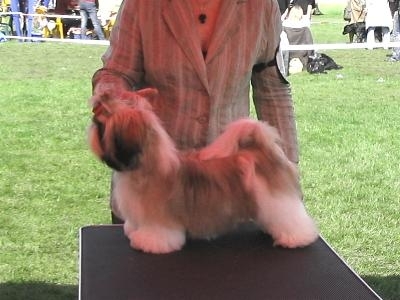 He has been chosen BEST in SHOW 3 in the finals. The second day of the show was also successful for us. Judge Maria Dekariston (EL) also awarded Breaker CAC, BOS and BOB. 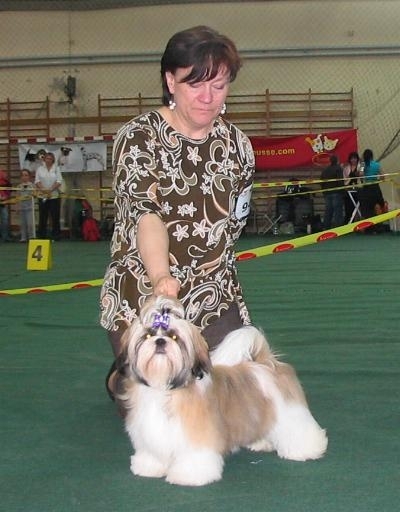 His daughter PERSPEKTYWA Ad Acte - puppy class, VP and BOB PUPPY. 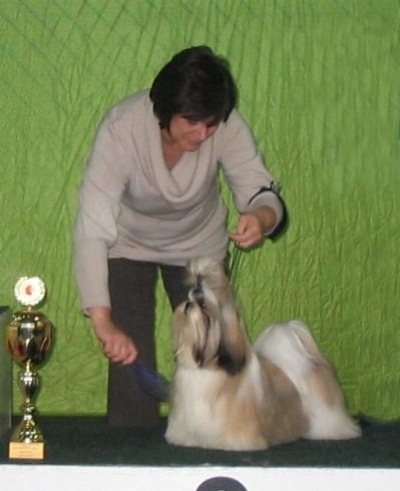 MAGNAT Acte - open class, CAC and CACIB which has granted him his twelfth championship. He is now the Champion of The Czech Republic! Congratulations on another splendind success! 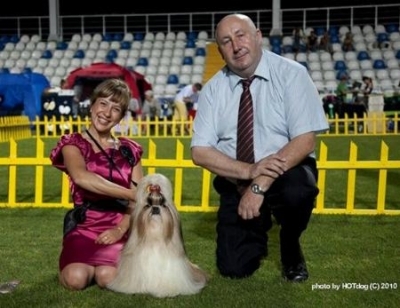 Many thanks to his owners - Małgosia and Robert, for their professionalism and devotion to Magnat's exhibiton career. 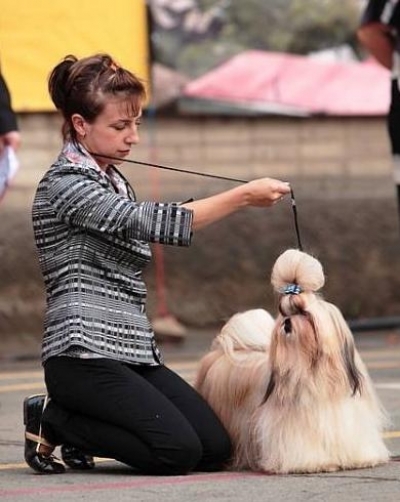 Best of luck on the next dog shows! 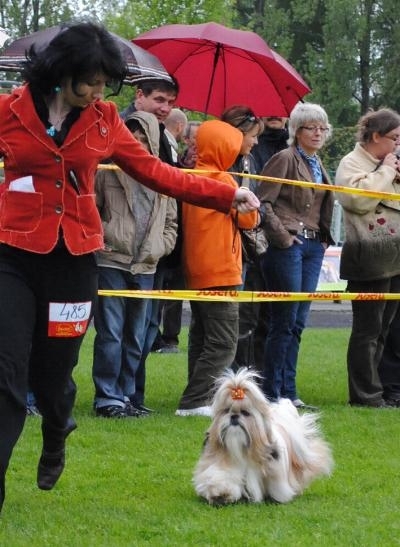 LADY IN RED Ad Acte - champion class, CAC, CACIB, BOB. 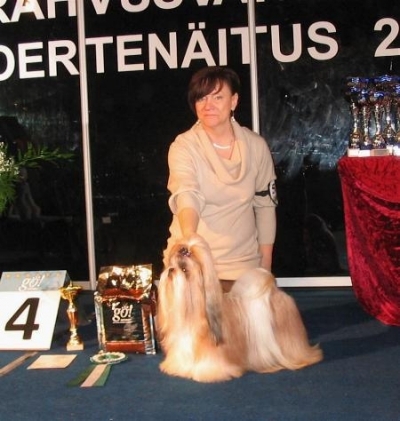 Redka has become Championship of Lithuania and finished her Interchampionship. 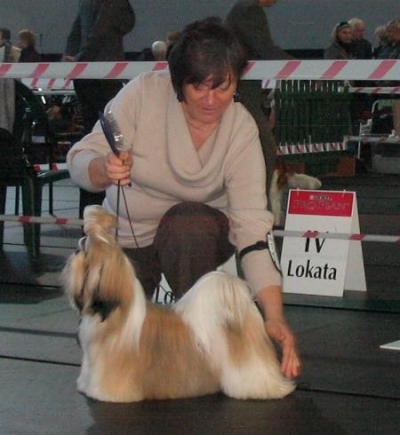 KARAT Ad Acte - junior class, Junior Winner, BOB Junior. In the BIS JUNIOR he has reached the final 5. 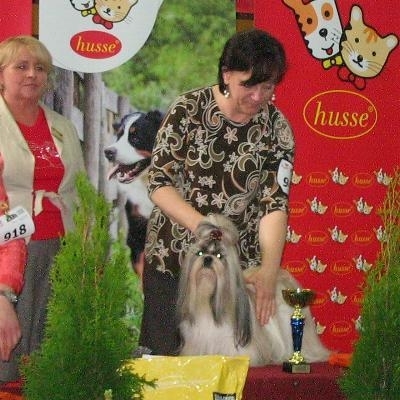 PACYNKA Ad Acte - puppy class, VP 1, BOB PUPPY and BEST PUPPY IN SHOW !!! 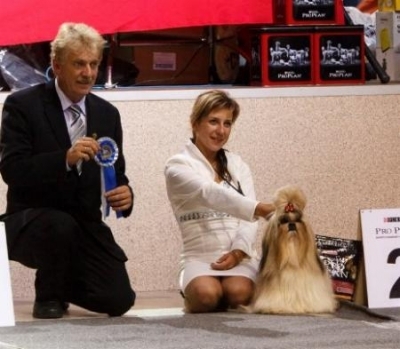 IMPRESARIO Ad Acte - CAC, BOB, BOG and 2 BEST IN SHOW !!! Many thanks to Ludmila for Lesik's outstanding performance! 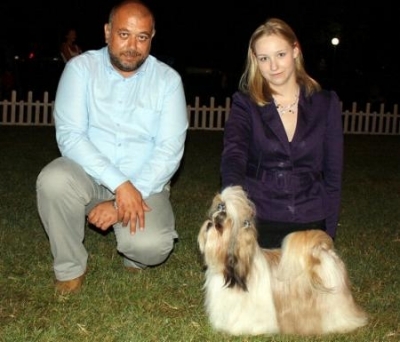 Pround father and his daughter represented our kennel on this show. 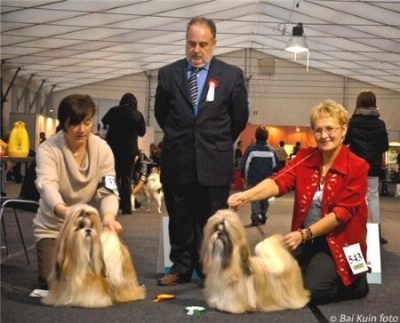 LE-VENDOSK WAFER BREAKING NEWS - open class, Excellent, CWC, CACIB and BOB. 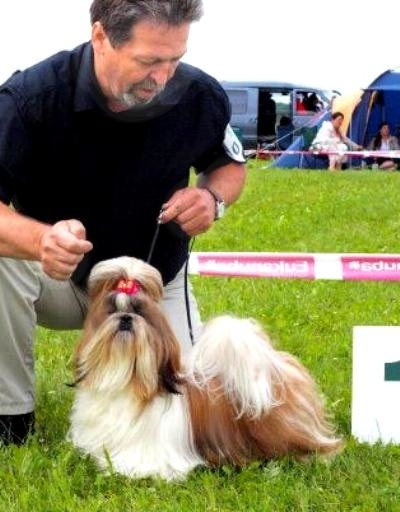 He has been chosen BEST OF GROUP 3 (judge: Petr Rehanek (CZ) ) in the finals. 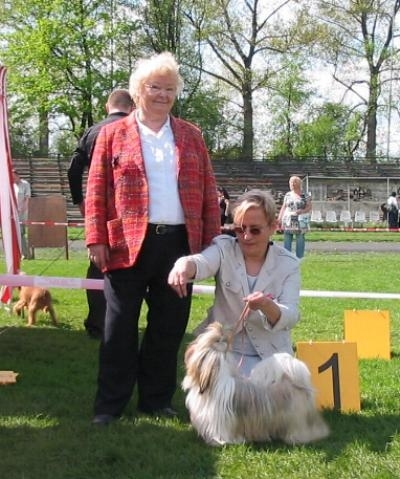 His daughter - PERSPEKTYWA Ad Acte contending in puppy class has received VP and BOB PUPPY. 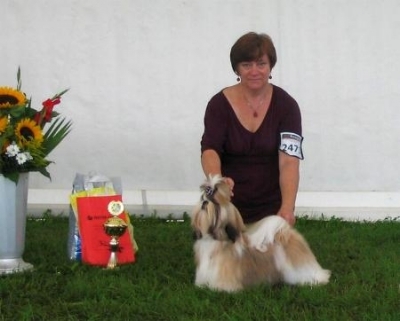 JOKER Ad Acte has contended in the puppy class for the second time receiving VP. 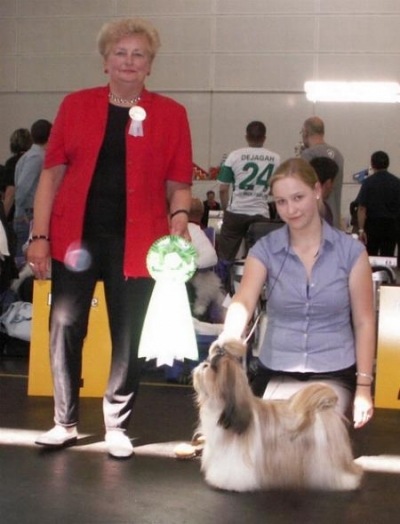 He has gained great recognition in the eyes of the judge who described him in pure superlatives. 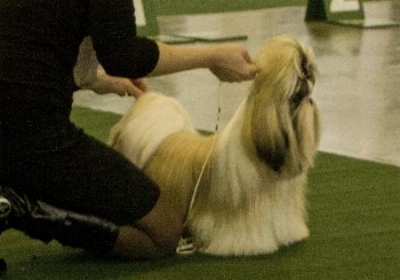 He has been chosen Best in Show Puppy in the finals! IMPERATOR Ad Acte - CAC, CACIB, BOB. He has also started his Championship of Holland! 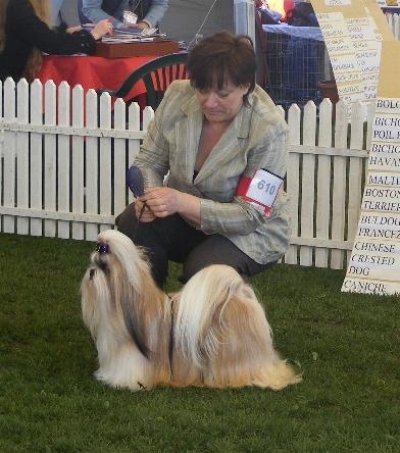 PERSPEKTYWA Ad Acte has shown herself for the first time in the puppy class receiving VP 1. 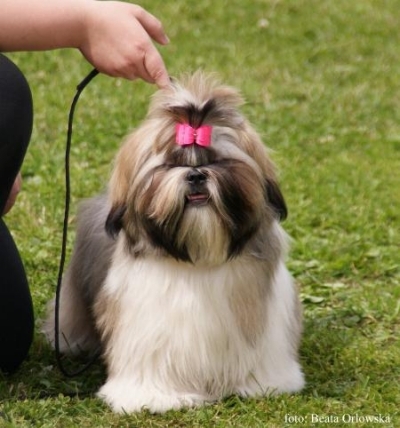 In the BIS Puppy competition she has reached the final six. 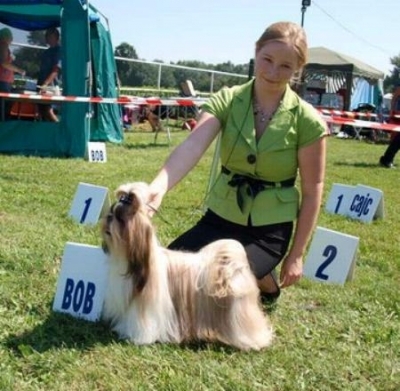 JOKER Ad Acte - puppy class debut, BOB Puppy. 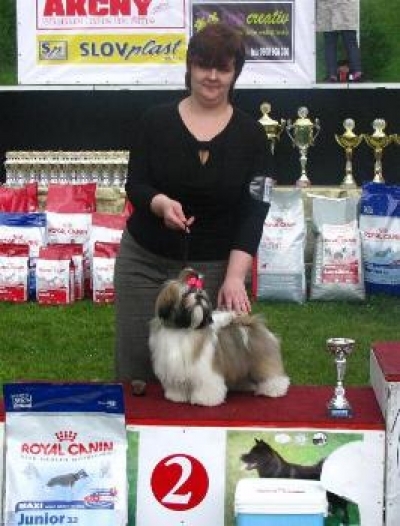 JOKER Ad Acte has had a successful debut in baby class winning BOB Baby and reaching final 5 in BIS Baby competition. IMPRESARIO Ad Acte - CAC, CACIB, BOS and BOB. PERSPEKTYWA Ad Acte - our youngest girl participated in this show. 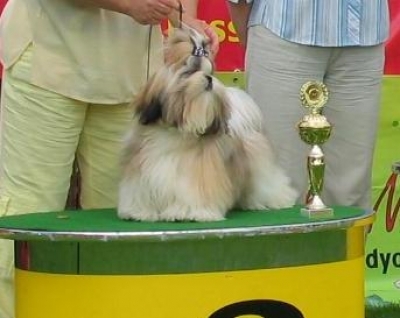 KARAT Ad Acte has rivalized in intermediate class getting a CWC and Res.CACIB = CACIB. Congratulations to Karat for starting his interchampionship! 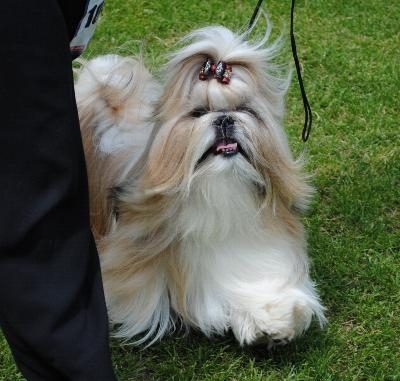 WAIKIKI VENDIDI - daughter of our GolDenMeri Eros Cosa Nostra, was awarded Junior Winner, and BOB JUNIOR. 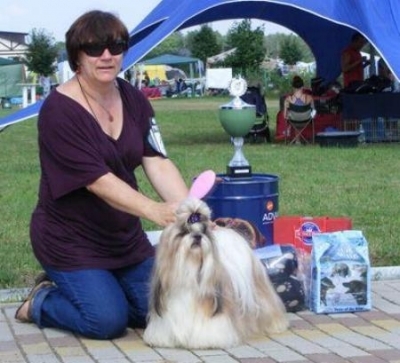 KARAT Ad Acte has contented in intermediate class for the first time getting a CWC and starting his adult championship. Congratulations to young Karat and his owner - Ewa Spytkowska! Mr.Cristian Stavarache awarded Breaker with CAC, CACIB, BOS and BOB. He has become Champion of Romania. He has also reached top finals in the group competition. 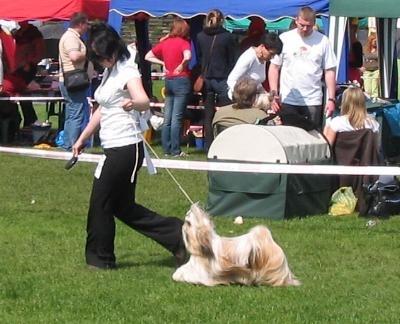 The second day of this dog show was also very successful for us. 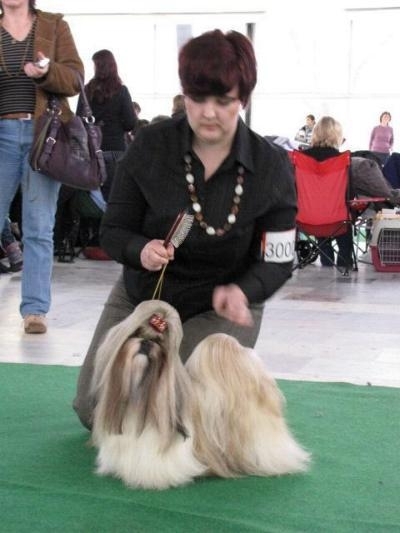 Judge Janika Steibock (Izrael) also found Breaker very amazing giving him CAC, CACIB, BOS and BOB. IMPERATOR Ad Acte - Excellent 1, VDH-CAC, CAC and BOB. 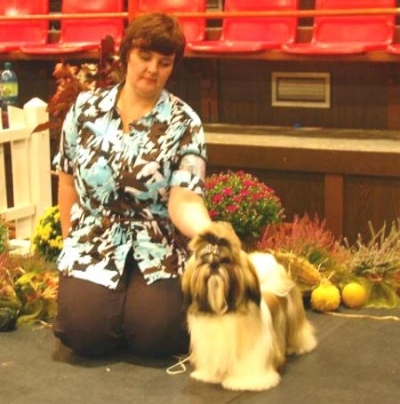 He has won the Best in Show finals! 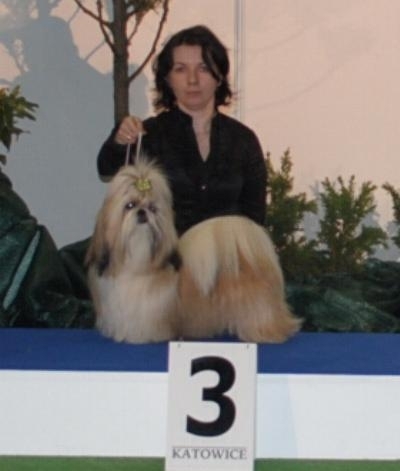 BOB and BOG (judge: J.Szczepanska-Korpetta (PL) ). 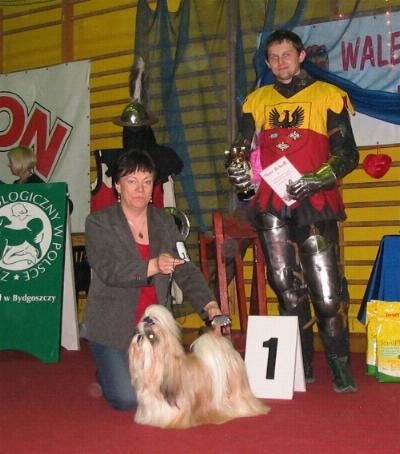 MILADY Ad Acte - champion class, CAC and Narodni Viteź.